One of the pleasures of living in Vancouver is having the certainty that I will experience four Shakespeare plays every year. There are not too many cities in the world that can boast about that. And consider that the experience is pretty close to what it might have been during Shakespeare’s time since the Bard on the Beach tents while covering us from the wetter parts of Vancouver weather, they are not in a theatre proper and blankets are required most of the time. In fact thanks to Chrisopher Gaze’s Bard on the Beach I might have to indulge in a pleasure (the purpose is medicinal as I would want to relieve my arthritis which flares up with humid cold) that I have avoided for years because I don’t drink. I have admired those hip hugging (an curved at that to the specifications of one’s behind) pewter hip flasks for years. But the idea of filling them with iced tea or anything but spirits seemed anathema to me. I have since discovered the delights of a good Calvados. So next time I go to a Bard on the Beach play, please do not observe my behind. I will surely have a flask tucked somewhere. This pleasure of experiencing Shakespeare (at the very least hearing his wonderful lines, and the very best, (as per usual with things Bard on the Beach) having excellent actors recite them) is one that I savour and treasure. I like to read my Harold Bloom in preparation for a play. Many times I take the big thick book with me. Bloom says Shakespeare made us the humans we are today. By this he means that we are more human because of Shakespeare. I feel that by attending my Shakespeare plays I become just that, more human. In one of his last pieces at the Vancouver Sun our venerable and much liked (and now missed) theatre critic, Peter Birnie mentioned that as usual no Jessie Awards had been handed out to the folks of Bard on the Beach at Vanier Park. I would like to explain here that those folks need not do more kite flying in despair at not winning prizes. They need not plunk Othello in Mumbai or convert Shylock into a Scottish tight wad. All they have to do is assure us that we will get our Shakespeare every year with the excellent cast of actors and directors that they have now. The awards can go to the avant-garde and we do need avant-garde plays in this city. But we must remain human, too. And for that we must have our Shakespeare.
. 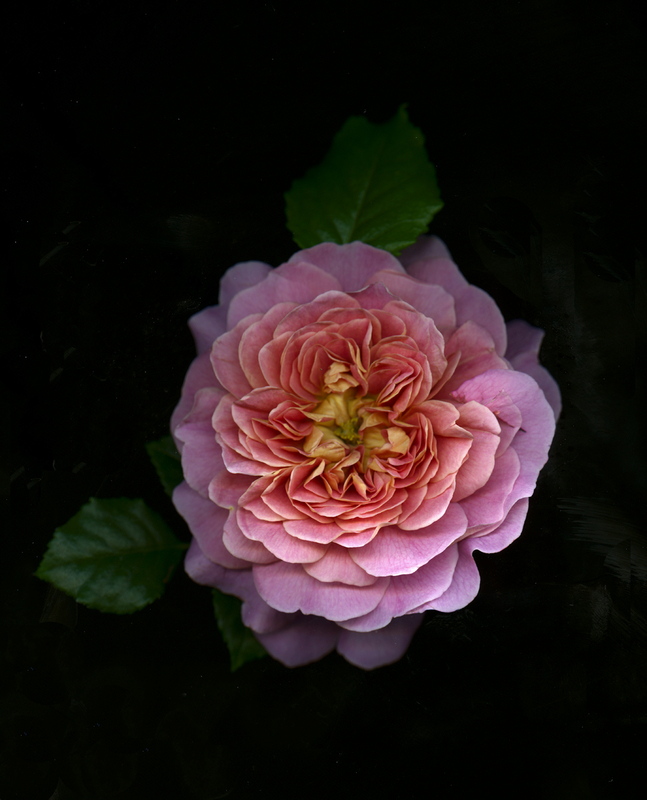 This rose features a beautiful scent and an unusual multi colouring. As the rose opens it reveals a little green centre. Could Marlowe have had green eyes while I think that he was indeed murdered, some say assasinated, with a stab in one of his eyes? This rose is of a colour not usually associated with English Roses: an intense orange-red, paling a little to salmon-pink on the outer petals as the flower ages. We need all colours if we are to fulfil all the requirements of the garden. ‘Christopher Marlowe’ should be useful whenever a bright splash of red is required. The flowers are rosette-shaped; the outer petals reflexing a little. The growth is short but very vigorous, with numerous stems arising from the base and later branching to give a continuous flow of flowers. The result is a free-flowering, nicely rounded shrub. There is a pleasing Tea fragrance, with a hint of lemon. Very healthy. 3 ft. x 3 ft. Christopher Marlowe is a well known playwright and contemporary of William Shakespeare. He pressed a rose bud in a book as a mark of friendship to a friend with whom he had had an argument. I had to buy the rose once Rosemary told me she liked it and thought it an unusual colour. I did not press and tell her that there was a lot of orange in Marlowe. Rosemary dislikes orange. 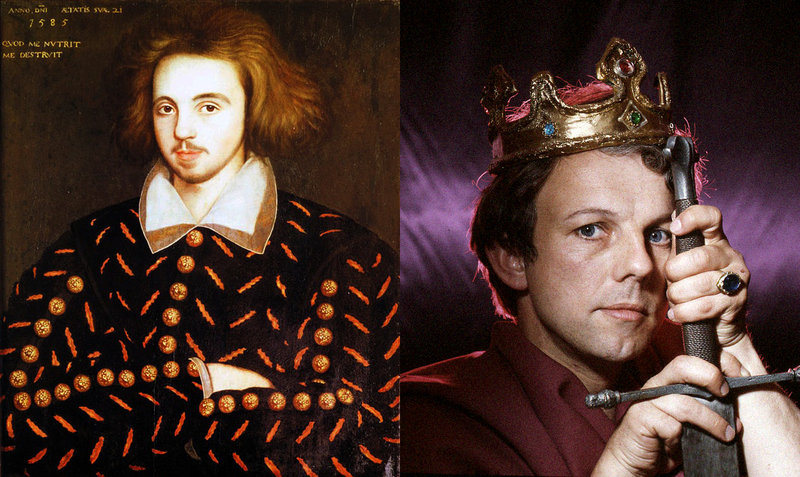 Today I wondered how long it would take me to find a connection between the rose, Chrisopher Marlowe the man and his contemporary William Shakespeare. It was also evident that I had three Christophers here. It didn’t take long (thank you Google and Wikipedia) to find citations of Marlowe plays and poems in Shakespeare plays. And I immediately found a connection between both the contemporary Christophers and the word rose. Not here, in its entirety, is a lesser known fact that my fave Argentine poet, Jorge Luís Borges wrote an introduction to a compilation of works by Shakespeare, translated into Spanish in 1980. In his introduction Borges poked fun at Shakespeare’s lack of a degree (an ingenious layman, no more and no less!) and that Christopher Marlowe studied at Cambridge, from where he received a bachelor’s degree and a Magister Artium (MA!). When a man's verses cannot be understood, nor a man's good wit seconded with the forward child, understanding, it strikes a man more dead than a great reckoning in a little room. And a thousand fragrant posies. The Merry Wives of Windsor, A Welsh pronunciation from Christopher Marlowe's The Passionate Shepherd to his Love. Then live with me and be my love.